Logic (from the Greek λογική, logikē) refers to both the study of modes of reasoning (which are valid, and which are fallacious) and the use of valid reasoning. In the latter sense, logic is used in most intellectual activities, including philosophy and science, but in the first sense, is primarily studied in the disciplines of philosophy, mathematics, semantics, and computer science. It examines general forms that arguments may take. In mathematics, it is the study of valid inferences within some formal language. 'Major Premise': Sixty men can do a piece of work sixty times as quickly as one man. 'Conclusion': Sixty men can dig a posthole in one second. R. A. Fisher, J. Neyman, R. von Mises, W. Feller, and L. J. Savage denied vehemently that probability theory is an extension of logic, and accused Laplace and Jeffreys of committing metaphysical nonsense for thinking that it is. E. T. Jaynes; G. Larry Bretthorst (10 April 2003). Probability Theory: The Logic of Science. Cambridge University Press. p. 293. ISBN 978-0-521-59271-0. Rita Mae Brown (1983) Sudden Death. Utility and necessity of logic - It would be a mistake to imagine that, above and beyond what is called the Natural Logic of sound common sense, the study of the Science of Logic is absolutely necessary for right reasoning. Men reasoned rightly before Aristotle ever formulated a canon of logic. It was, in fact, by an analysis of such reasonings that he discovered those canons: they could never have been discovered otherwise. Here as elsewhere the art came before the science; theory followed practice. A man may reason rightly without knowing a single rule of the syllogism; or, conversely, he may know all the details of logic and be an indifferent guide to truth just as a first-rate geometrician may be a failure as an engineer. But still, just as his knowledge of geometry will enable the geometrician to detect the defects in a piece of engineering, so too will an explicit knowledge of the canons of reasoning enable us to discover more readily where the fallacy of a misleading argument lies. Without professing to guard us infallibly from error, logic familiarizes us with the rules and canons to which right reasoning processes must conform, and with the hidden fallacies and pitfalls to which such processes are commonly exposed. The morbid logician seeks to make everything lucid, and succeeds in making everything mysterious. These, briefly, are the key elements of the stereotype: logic cripples and constrains; it forces one into narrow and mechanical modes of thought that cut one off from a vast range of superior thoughts, feelings and perceptions; logic is an enemy of wit and humor (Mr. Spock's face was always an impassive mask); logic makes us dull and pedantic (Mr. Spock always spoke in a monotone); logic presupposes a simple-minded, black-and-white, yes-no conception of the world. … Logic misses the point of half the things we ordinarily say and cannot match the insight of the humblest person's common sense. Arthur Conan Doyle, A Study in Scarlet, Chapter 2, "The Science of Deduction". "A physical theory," certain logicians have replied, "has for its object the explanation of a group of laws experimentally established." Now these two questions — Does there exist a material reality distinct from sensible appearances? and What is the nature of reality? — do not have their source in experimental method, which is acquainted only with sensible appearances and can discover nothing beyond them. The resolution of these questions transcends the methods used by physics; it is the object of metaphysics. Now, to make physical theories depend on metaphysics is surely not the way to let them enjoy the privilege of universal consent. Pierre Duhem, translated by Philip P. Wiener (1991). The aim and structure of physical theory. Princeton University Press. p. 10. ISBN 069102524X. Hans Freudenthal (1968) "Realistic models in probability"
To find themselves utterly alone at night where company is desirable and expected makes some people fearful; but a case more trying by far to the nerves is to discover some mysterious companionship when intuition, sensation, memory, analogy, testimony, probability, induction — every kind of evidence in the logician's list — have united to persuade consciousness that it is quite in isolation. Thomas Hardy (1874) Far from the Madding Crowd, Ch. 2. Robert A. Heinlein, Glory Road, (1967), Ch. 5. Thomas Hobbes (1588–1679) On the proposition that the volume generated by revolving the region under 1/x from 1 to infinity has finite volume. Quoted in Mathematical Maxims and Minims by N. Rose (1988). Logic is one thing and commonsense another. I have expos'd myself to the enmity of all metaphysicians, logicians, mathematicians, and even theologians; and can I wonder at the insults I must suffer? Logic hasn't wholly dispelled the society of witches and prophets and sorcerers and soothsayers. Logic is concerned with arguments, good and bad. With the docile and the reasonable, arguments are sometimes useful in settling disputes. With the reasonable, this utility attaches only to good arguments. It is the logician’s business to serve the reasonable. Therefore, in the realm of arguments, it is the logician who distinguishes good from bad. Donald Kalish, Richard Montague, and Gary Mar, (second edition; 1980), Logic: Techniques of Formal Reasoning, page 1 (opening paragraph). The book, as it stands, seems to me to be one of the most frightful muddles I have ever read, with scarcely a sound proposition in it beginning with page 45, and yet it remains a book of some interest, which is likely to leave its mark on the mind of the reader. It is an extraordinary example of how, starting with a mistake, a remorseless logician can end up in bedlam. John Maynard Keynes, in Collected Works, vol. XII on Hayek's Prices and Production (1931); Hayek provided historical background up to page 45, after that came his theoretical model. Metaphysics may be, after all, only the art of being sure of something that is not so, and logic only the art of going wrong with confidence. Anyone who has heard (Jacques Derrida) lecture in French knows that he is more performance artist than logician. His flamboyant style--using free association, rhymes and near-rhymes, puns, and maddening digressions--is not just a vain pose (though it is surely that). It reflects what he calls a self-conscious "acommunicative strategy" for combating logocentrism. The contemporary mathematical and symbolic logic is certainly very different from its classical predecessor, but they share the radical opposition to dialectical logic. In terms of this opposition, the old and the new formal logic express the same mode of thought. it is purged from that “negative” which loomed so large at the origins of logic and of philosophic thought—the experience of the denying, deceptive, falsifying power of the established reality. And with the elimination of this experience, the conceptual effort to sustain the tension between “is” and “ought”, and to subvert the established universe of discourse in the name of its own truth is likewise eliminated from all thought which is to be objective, exact, and scientific. For the scientific subversion of the immediate experience which establishes the truth of science as against that of immediate experience does not develop the concepts which carry in themselves the protest and the refusal. The new scientific truth which they oppose to the accepted one does not contain in itself the judgment that condemns the established reality. ... In contrast, dialectical thought is and remains unscientific to the extent to which it is such judgment. This fallacy [appeal to authority] is not in itself an error; it is impossible to learn much in today’s world without letting somebody else crunch the numbers and offer us explanations. And teachers are sources of necessary information. But how we choose our "authorities" and place a value on such information, is just another skill rarely taught in our education systems. It’s little wonder that to most folk, sound bites and talking heads are enough to count as experts. […] Teaching is reinforcing the appeal to authority, where anybody who seems more intelligent than you must ultimately be right. […] We educators must simply role-model critical thinking. […] Educators themselves have to be prepared to show that “evidence” and “answers” are two separate things by firmly believing that, themselves. The pedant and the priest have always been the most expert of logicians—and the most diligent disseminators of nonsense and worse. It might … have been supposed that logicians and psychologists would have devoted special attention to meaning, since it is so vital for all the issues with which they are concerned. But that this is not the case will be evident to anyone who studies the Symposium in Mind (October 1920 and following numbers) on "The Meaning of 'Meaning.'" C. K. Ogden and I. A. Richards, (1923) The Meaning of Meaning p. 160. Logicians tell us that a system of ideas containing a contradiction can be used to deduce any statement whatsoever, no matter how absurd. Existential graph by C.S. Peirce. Charles Sanders Peirce (1892) The Law of Mind. A certain maxim of Logic which I have called Pragmatism has recommended itself to me for diverse reasons and on sundry considerations. It is by logic that we prove, but by intuition that we discover. To know how to criticize is good, to know how to create is better. Mathematics and logic, historically speaking, have been entirely distinct studies. Mathematics has been connected with science, logic with Greek. But both have developed in modern times: logic has become more mathematical and mathematics has become more logical. The consequence is that it has now become wholly impossible to draw a line between the two; in fact, the two are one. They differ as boy and man: logic is the youth of mathematics and mathematics is the manhood of logic. 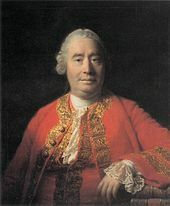 This view is resented by logicians who, having spent their time in the study of classical texts, are incapable of following a piece of symbolic reasoning, and by mathematicians who have learnt a technique without troubling to inquire into its meaning or justification. Both types are now fortunately growing rarer. So much of modern mathematical work is obviously on the border-line of logic, so much of modern logic is symbolic and formal, that the very close relationship of logic and mathematics has become obvious to every instructed student. The proof of their identity is, of course, a matter of detail: starting with premises which would be universally admitted to belong to logic, and arriving by deduction at results which as obviously belong to mathematics, we find that there is no point at which a sharp line can be drawn, with logic to the left and mathematics to the right. If there are still those who do not admit the identity of logic and mathematics, we may challenge them to indicate at what point, in the successive definitions and deductions of Principia Mathematica, they consider that logic ends and mathematics begins. It will then be obvious that any answer must be quite arbitrary. Bertrand Russell, Introduction to Mathematical Philosophy (1919) pp.194–195. The question of "unreality," which confronts us at this point, is a very important one. Misled by grammar, the great majority of those logicians who have dealt with this question have dealt with it on mistaken lines. They have regarded grammatical form as a surer guide in analysis than, in fact, it is. And they have not known what differences in grammatical form are important. Bertrand Russell (1919) Introduction to Mathematical Philosophy. Ch. 7: Rational, Real and Complex Numbers. All traditional logic habitually assumes that precise symbols are being employed. It is therefore not applicable to this terrestial life but only to an imagined celestial existence... logic takes us nearer to heaven than other studies. The apparent world goes through developments which are the same as those the logician goes through if he starts from Pure Being and travels on to the Absolute Idea... Why the world should go through this logical evolution is not clear; one is tempted to suppose that the Absolute Idea did not quite understand itself at first, and made mistakes when it tried to embody itself in events. But this, of course, was not what Hegel would have said. Bertrand Russell (1950) Unpopular Essays p. 74-75. A crisis in doctrine occurred when they discovered that the square root of two was irrational. That is: the square root of two could not be represented as the ratio of two whole numbers, no matter how big they were. "Irrational" originally meant only that. That you can't express a number as a ratio. But for the Pythagoreans it came to mean something else, something threatening, a hint that their world view might not make sense, the other meaning of "irrational". Carl Sagan (1990 Update) Cosmos: A Personal Voyage. [My aim is] to design logic as a calculating discipline, especially to give access to the exact handling of relative concepts, and, from then on, by emancipation from the routine claims of natural language, to withdraw any fertile soil from "cliché" in the field of philosophy as well. This should prepare the ground for a scientific universal language that, widely differing from linguistic efforts like Volapük [a universal language like Esperanto, very popular in Germany at the time], looks more like a sign language than like a sound language. Ernst Schröder, cited in: V. Peckhaus, "19th Century Logic between Philosophy and Mathematics," Bulletin of Symbolic Logic, 5 (1999), 433-450. John F. Sowa (1993) Conceptual graphs for knowledge representation. p. 3-51. Neither in nature nor among human beings are either equal or randomly distributed outcomes automatic. On the contrary, grossly unequal distributions of outcomes are common, both in nature and among people, in circumstances where neither genes nor discrimination are involved... The idea that it would be a level playing field, if it were not for either genes or discrimination, is a preconception in defiance of both logic and facts. Thomas Sowell, Discriminations and Disparities (2018), p. 17. Poetry — No definition of poetry is adequate unless it be poetry itself. The most accurate analysis by the rarest wisdom is yet insufficient, and the poet will instantly prove it false by setting aside its requisitions. It is indeed all that we do not know. The poet does not need to see how meadows are something else than earth, grass, and water, but how they are thus much. He does not need discover that potato blows are as beautiful as violets, as the farmer thinks, but only how good potato blows are. The poem is drawn out from under the feet of the poet, his whole weight has rested on this ground. It has a logic more severe than the logician's. You might as well think to go in pursuit of the rainbow, and embrace it on the next hill, as to embrace the whole of poetry even in thought. Henry David Thoreau Journals (1838-1859) January 26, 1840. The moment we stop assuming that the ideas of any millieu form static 'propositional systems', and recognize that they constitute historically developing 'conceptual populations', we are free to abandon also the philosophers' traditional assumption that rationality is a sub-species of logicality. ...In non-intellectual contexts... we judge the rationality of a man's conduct, not by how he habitually behaves, but rather how far he modifies his behaviour in new and unfamiliar situations, and it is arguable that the rationality of intellectual performances should be judged, correspondingly, by considering, not the internal consistency of a man's habitual concepts and beliefs, but rather the manner in which he modifies this intellectual position in the face of new and unforeseen experiences. Logic tends to reduce everything to identities and genera, to each representation having no more than one single and self-same content in whatever place, time, or relation it may occur to us. And there is nothing that remains the same for two successive moments of its existence. My idea of God is different each time that I conceive it. Identity, which is death, is the goal of the intellect. As to the most prudent logicians might venture to deduce from a skein of wool the probable existence of a sheep; so you, from the raw stuff of perception, may venture to deduce a universe which transcends the reproductive powers of your loom. Roughly speaking: to say of two things that they are identical is nonsense, and to say of one thing that it is identical with itself is to say nothing.